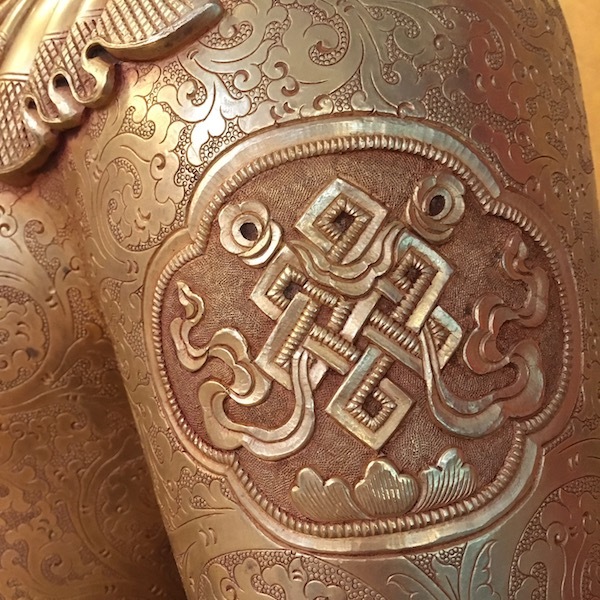 Currently viewing the category: "Stupa"
The Buddha statue that will go in the alcove of our stupa arrived mid-May, 2018. Project Manager, Denice Macy tells the story. 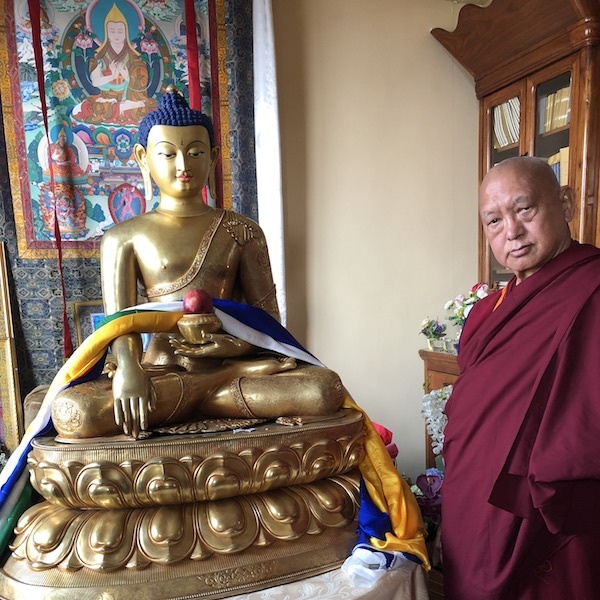 “In March 2017, Lama Zopa Rinpoche took me into his rooms at Kopan [Monastery] and showed me a lot of his statues and pointed out the facial features of statues that best represented the Buddha. He said, ‘See this face? This is how a good artist shows the Buddha’s face. 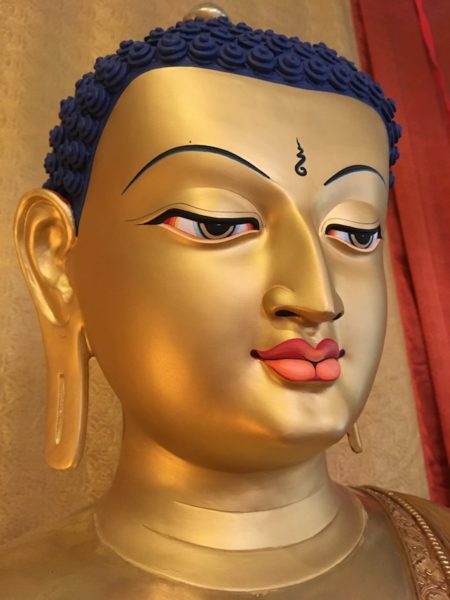 The Buddha’s face is brilliant and beautiful, naturally, and good artists can show that.’ Rinpoche wanted it to be life-size; he was emphatic about that. “Rinpoche did many prayers and offered 5 colored katags,” Ven. Roger writes. And this is a gift from Lama Zopa Rinpoche? How do you feel about the way it turned out, Denice? What is happening this summer?